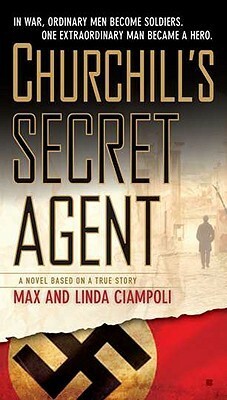 Based upon Max Hardonniere's own experience as a covert operative during World War II, this is the story of a young man whose acquaintance with Prime Minister Winston Churchill would lead to him being recruited and trained as a spy who would fight his own war from behind enemy lines. Max Ciampoli was born in Paris and was raised in Monaco. With his godfather’s guidance and the approval of Winston Churchill, he served as a secret agent during World War II. He was wounded during the war and decided to emigrate to the United States where he worked various jobs including executive chef, horse-breeder, and the owner of several hair salons and car dealerships. Decades after the war, he began experiencing post traumatic disorder and with the help of his wife Linda, he decided to channel his experience into writing Churchill’s Secret Agent. Linda Ciampoli was born in Los Angeles and raised in Long Beach. She attended the University of Bordeaux, the Sorbonne in Paris, and University of California Los Angeles. She has worked in various fields including the hospitality and hotel industry.